A guide for Spectators and Supporters. Freestyle Dressage to music is an extension on pure dressage in that it add music into the marking and how well the horse perfomrs its movements in harmony to the music and how well the floor plan fits the music selected. 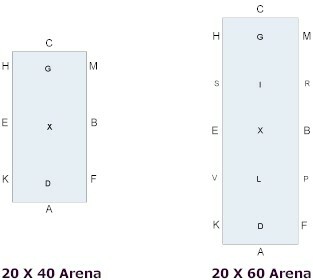 The tests are always carried out in an arena measuring either 20 metres x 40 metres or 20 metres x 60 metres. 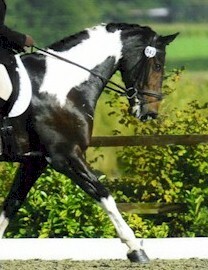 For pure dressage in the UK, test are issued by British Dressage with set movements. Freestyle Dressage to Music as its name indicates allows the rider to create their own floor plan but they must include specific compulsory movements depending on the level they are competing at. These compulsory movements are dictated by British Dressage. In addition, riders cannot perform movements that are more advanced than the level they are competing at so as an example a novice test cannot include flying changes if it does the rider will be penalised.